It’s a good bet that after you read this article, you’ll start paying more attention to background props in movies. It was Christmas Eve 2009. 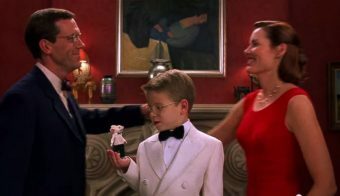 Gergely Barki, an art historian and researcher with the Hungarian National Gallery in Budapest, had settled in with his daughter Lola to watch the 1999 movie Stuart Little. As Barki’s daughter snuggled on his lap to giggle at Stuart the mouse’s onscreen antics, Barki couldn’t believe his eyes. In a scene where Stuart and his human family have a conversation in front of a fireplace, Barki recognized the painting hanging on the wall in the background. It was no ordinary set dressing—it was a lost Hungarian masterpiece that hadn’t been seen in public since 1928. What Gergely Barki had recognized was artist Róbert Berény’s Sleeping Lady with Black Vase. Berény was one of “the Eight”—a group of avant-garde artists who modernized Hungary’s art movement starting in 1909. Not only was Berény an important Hungarian artist, he was also a colorful figure. In 1920, he fled Hungary after designing recruitment posters for a failed communist revolution. He was also rumored to have had affairs with actress Marlene Dietrich and Russian Grand Duchess Anastasia. Sleeping Lady with Black Vase was an art deco portrait of Berény’s second wife that he painted in 1926. But it had vanished. In fact, the only image of the painting that Barki had ever seen was a black-and-white photograph in a 1928 exhibition catalog. Yet he had no doubt he’d spotted the missing painting. “It was not just on screen for one second but in several scenes of the film, so I knew I was not dreaming,” he said. Barki had to track it down. The art researcher emailed Sony and Columbia Pictures, the studios that produced Stuart Little. 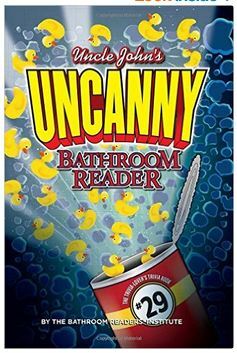 Production executives remembered the painting, but they had no idea where it had gone after filming ended. So Barki worked his way through the list of cast and crew and emailed everyone who’d touched the movie in any way. Nobody could help. Then, two years after Barki had first spotted Sleeping Lady with Black Vase, he received an email from an assistant set director. But how had a Hungarian masterpiece ended up in Pasadena? The painting’s previous owner, Michael Hempstead, recognized his Sleeping Lady when the story hit the news. He’d purchased it at a St. Vincent de Paul charity auction in San Diego in the mid-1990s. “I think I only paid $40,” he said. “Somebody had just donated it, probably with a lot of other items.” Hempstead knew it was Berény’s work but had no idea it was considered lost. He resold it for around $400 to the Pasadena antique shop where the assistant set designer later found it. Where had the painting been before Hempstead bought it? Nobody knows. Gergely Barki’s guess is that a collector had first purchased it from the 1928 exhibition where it was displayed in the archived catalog he’d seen. “That was when it was last exhibited and, as most of the buyers were Jewish, it probably left the country as a result of the war,” he theorized. “After the wars, revolutions, and tumult of the 20th century many Hungarian masterpieces are lost, scattered around the world.” It may never be known exactly how the artwork landed in a Catholic charity auction. The assistant set designer (who asked to remain anonymous throughout) sold the painting to an art collector for an undisclosed sum. On December 13, 2014, the painting went to a Budapest gallery to be auctioned. Sleeping Lady with Back Vase, which had been bought for $40 in San Diego and $500 in Pasadena, sold for $285,700 to an unnamed Hungarian buyer. I’m assuming the assistant set director wished to remain anonymous because she purchased the painting with Sony and Columbia’s budget alloted for set decorations, then walked away with the valuable after the movie wrapped without reimbursing them.